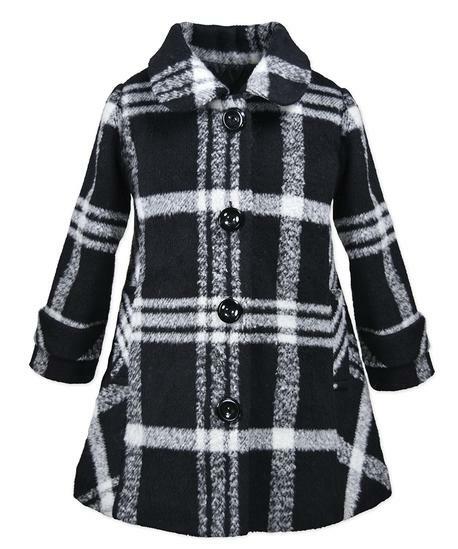 Plaid Coat with Peter Pan Collar. Button Closure. Polyester/Acrylic/Viscose/Cotton/Nylon/Wool. Machine Wash. Imported.